Add a touch of color and fun to your entryway, kitchen or bathroom with our Lindi Foil Printed Rug. 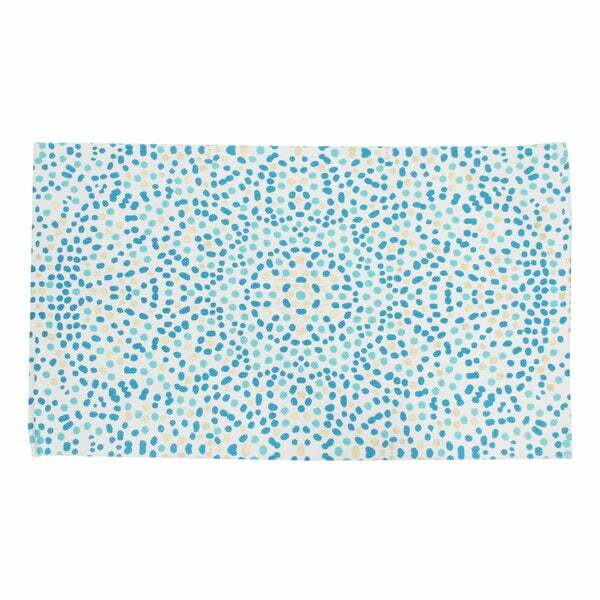 Turquoise dots make up an eye-catching pattern and will brighten your home. The spray latex backing helps prevent slipping and eliminates the need of a rug pad. This accent rug is made of cotton and measures 27x45"
Great little rug - very flat and doesn't move at all. Very non-slip.